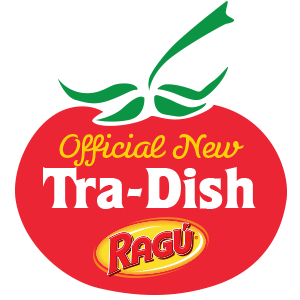 I was recently contacted by Ragú® and asked if I wanted to put a new spin on an old classic recipe. What a fantastic idea! While we have our top 10–the same recipes we make over and over again–it’s good to shake things up a bit and change it all up. I was excited to take on this challenge! The great thing about Ragú® Old World Style® Traditional Sauce is that each jar is made with 11 juicy tomatoes, making it its richest, thickest recipe. My kids love the flavor and I love all those veggies packed into each jar. You know you’re getting something good when you pour Ragú® over it! So what did I make? 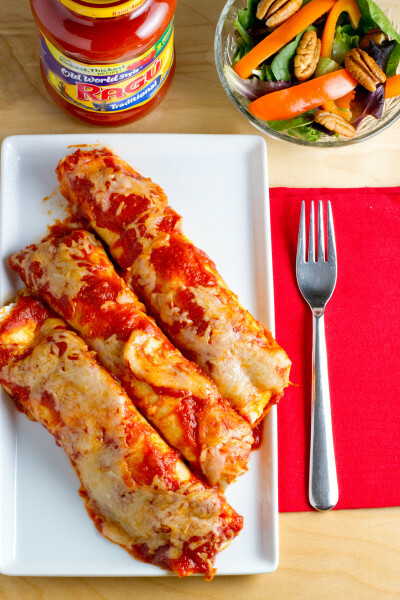 I went completely in a different direction with my No-Fry Chicken Parmesan and transformed it into No-Fry Chicken Parmesan Enchiladas. Adios to the familiar breaded breasts baked in a dish! Instead, I started with shredded rotisserie chicken, significantly cutting down on the baking time. 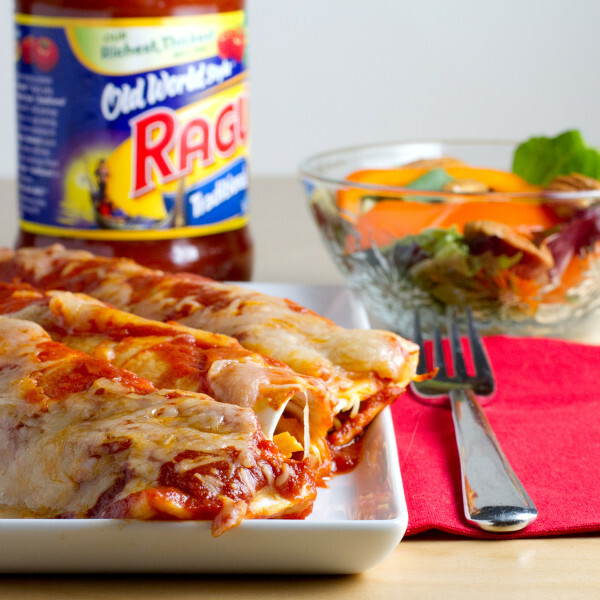 Mix that with some sauce and cheese, roll it up in flour tortillas, and drench in Ragú® Old World Style® Traditional Sauce and cheese. In no time at all, dinner is served. The kids LOVED this twist and I liked that I could make a bunch of them at once and save them for lunches throughout the week. 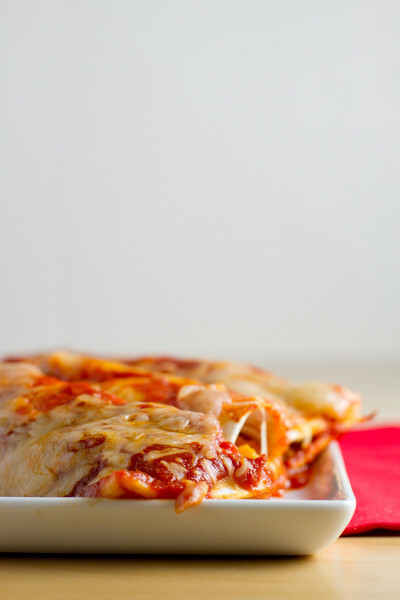 This is not your mama’s Chicken Parmesan…and that is more than okay! Looking for more quick-and-easy authentic Italian recipe ideas? 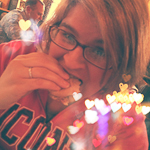 Check out Ragú®’s Facebook page for more great eats! And don’t forget to visit Ragú®’s Better and Better Sweepstakes for a chance to win great authentic Italian-themed prizes, including a grand prize trip to Italy for a family of four! That would be amazing! Preheat oven to 400 degrees Fahrenheit. Grease a 9″x13″ baking dish and set aside. In a large bowl, mix the shredded chicken, 2 cups of the cheese, ½ cup of the Ragú® sauce, and the Italian seasoning blend. Lay out a tortilla and spread about 1/2 cup of the chicken mixture in a line in the middle of it. Roll from one end to the other, then place in the dish seam side down. Spread the remaining sauce over the enchiladas and sprinkle the remaining shredded cheese over that. If you don’t have access to a rotisserie chicken, you can microwave skinless, boneless chicken breasts for 5-6 minutes until cooked through, shred them and continue on. You’ll need about 1 pound of chicken for this recipe.